The annual KU Vets Day 5K, hosted by the KU Student Veterans of America and the Veterans Alumni Network, honors our past and present veterans and raises awareness of the roles veterans play in our university and community. The 5K begins and ends at Memorial Stadium, traveling through the KU campus past KU's six war memorials. If you have any questions about this 5k, click the button below. All 5K Finishers will receive a finisher's medal. All 5K Finishers will receive a t-shirt. To be guaranteed a specific size shirt, please register by October 14th. The following groups will receive a discount on their registration: The discount will be applied at the registration checkout. 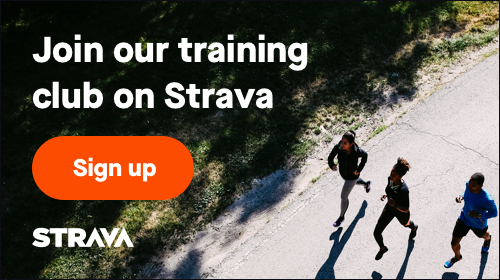 Discounts do not apply to the virtual run option. It would be a privilege to include you/your company among the sponsors of the Vets Day 5K! We cannot thank our sponsors enough for supporting this effort. 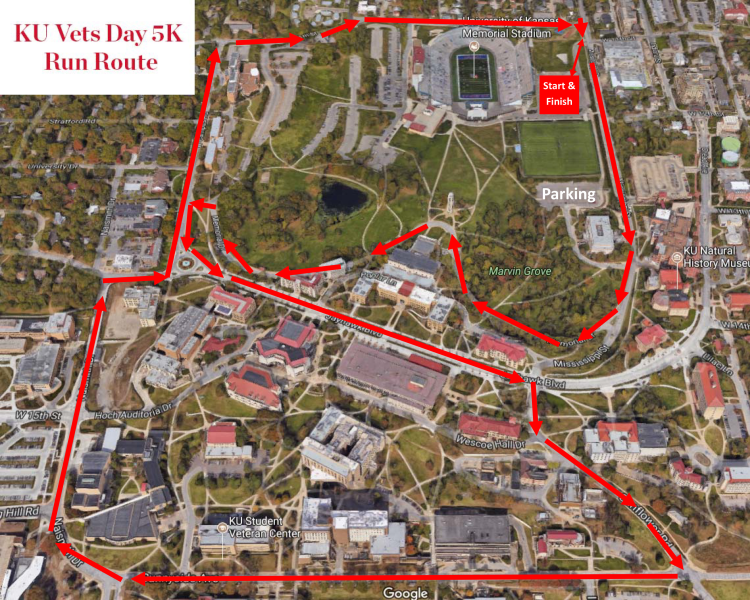 If you would like to sponsor this event, please download the form at www.kuvetsday5k.com and/or contact Michelle Lang at 785-864-9769 or michellem@kualumni.org. *Estimated value of $20 per race entry will NOT be tax deductible as a charitable contribution. If you do not indicate on the sponsorship form that you will NOT use the entries, we will automatically deduct their value from your tax deductible contribution. Awards will be given to top 2 overall male and female finishers. Awards will be given to top 2 overall master male and female finishers.